So What is the Lifespan of Your Waste in Landfill? Given how quickly these materials can be recycled, and that 100% of of these materials can be recycled, it seems odd that we are not more diligent in recycling waste. 8 hours is a lot less time than a million years after all! Landfill might be convenient for waste disposal, but recycling is a much more efficient use of materials. Rather than put waste into a landfill, we should be aiming to reuse and recycle as many materials as possible. To encourage recycling, the government has imposed a landfill tax. There are two rates of landfill tax. The lower rate is for ‘inactive waste’ which refers to rocks or soil. The standard rate essentially applies to everything else, though there are a couple of exceptions. The standard rate from 1st April 2017 is £86.10/tonne and the lower rate is £2.70/tonne. While the tax is unlikely to impact on families or households, it is intended to incentivise industries to recycle and recover as much waste as possible and to reduce the overall amount of landfill. In their 2015 evidence summary, the Environment Agency reported that ‘quality protocols have diverted over 61 million tonnes of material from landfill and have saved businesses around £466 million.’ However, ‘total fines arising from the prosecution of companies involved in waste activities increased by 65% compared to 2014’. These figures show that in recent years, the proper disposal of waste has become more strictly regulated. The best way to ensure that your waste is processed correctly according to government regulation is to use a waste management company. Are There Any Advantages of Landfill? A well engineered landfill site can offer a great solution as it allocates a certain area for waste. This means that the contents can be controlled to prevent contaminants spreading and adversely affecting the environment. Put this way, a landfill site is far more preferable a solution to just dumping waste wherever. A secure landfill is particularly good for hazardous waste that cannot be recycled or used for energy recovery. This type of landfill is designed to minimise the chance that hazardous waste could escape into the environment using a double leachate system to prevent any water contamination. There is also at least 3 metres of separation between the bottom of the landfill and the bedrock or groundwater table and an impermeable cap seals the site. 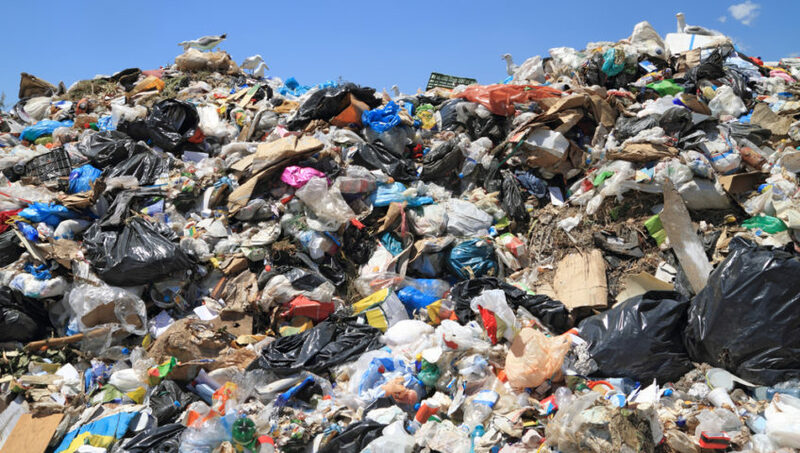 Unfortunately, for most waste types, there aren’t many advantages of landfill. It takes food waste much longer to biodegrade in landfill because it is so closely packed together. In a compost heap, food waste quickly decomposes because there are plenty of bacteria, fungi and worms to assist the process and, vitally, they have enough oxygen. Using a specialist waste management solutions company will help you to correctly categorise your commercial recycling in order to find the most efficient way to deal with it. However, there are also a few things you can do onsite to make things easier. If you run a large office building, consider using specific recycling bins to encourage the building’s population to sort their waste themselves. On a construction site, you could use separate skips for different types of waste, for example, a skip for recyclable materials and another for non-recyclables. This will mean that when your waste is collected it can be taken to the appropriate centre straight away, rather than having to be sorted first. This is obviously more efficient and may even save you money. Dealing with multiple waste streams like this may be more efficient for the waste process but it can be frustrating and time-consuming for businesses. This is where a waste management solutions company can really help you. By managing the logistics and invoicing, a waste management company will save you time and effort, as well as ensuring that you meet your duty of care responsibilities.